He was born in 1870. A professional revolutionary, took part in the London Party Congress in 1905, and the 1905 revolution. On diplomatic service since 1918. 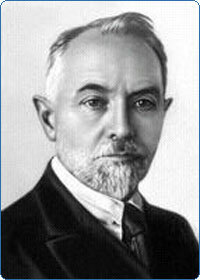 1925-1926 – Soviet ambassador to Britain, died in office. He was buried in Red Square in Moscow. An icebreaker, several streets and factories were named after Krasin.